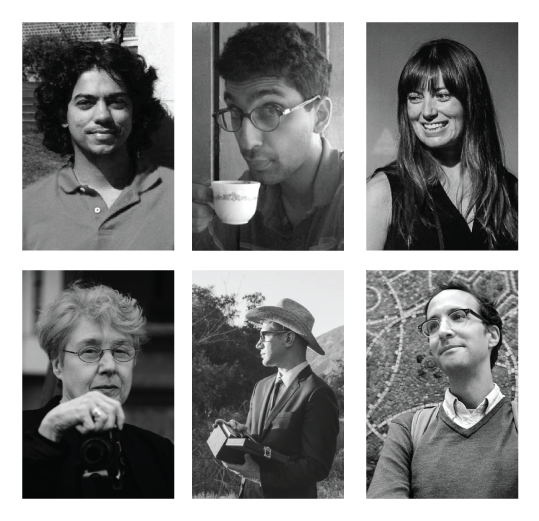 Aatish Bhatia, Latif Nasser, Meghan O’Hara, Martha Rosler (Photo by Jean Ledoux), James Thomas, Pacho Velez. A cross-disciplinary panel discussion with science journalist Aatish Bhatia, artist Martha Rosler, filmmaker and ethnographer Pacho Velez, the writer and curator James Merle Thomas, and filmmaker & educator Meghan O’Hara, moderated by Latif Nasser, director of research at WNYC’s Radiolab. Observation is both fundamental and pervasive in arts and sciences. Much like the everyday, the very ubiquity of observational practice means it is often overlooked as a subject. How do particular observational methods shape and define the very thing that is under investigation? How do certain methods of observation change the perceiver? In what ways can attention to the banal transform our relation to the everyday and create communities? This panel is organized by The Observational Practices Lab at Parsons, The New School, in collaboration with the Laboratory for Art and Research, Institute for Art and Art Theory at the University of Cologne. Our aim is to investigate and archive transdisciplinary methods of observation to expand critical awareness of the everyday and deepen research potential for art and design practice. The panel discussion on Thursday evening will be followed the next day by performances, lectures and interactive workshops by students from PARSONS and the University of Cologne.